Pokémon Go is created by Niantic and has become one of the most admired and widely played games in the recent times. People of all age groups are going gaga over this game and search desperately over the internet to get Pokemon Go Tips. While this game has attained great fame in North America, Europe even in Asian countries, like India its impact is irresistible. Gradually people are going addictive to this game and look for ways to begin their gaming journey by downloading on their devices. Pokémon Go has received great feedback and is played with eagerness by Indian Mobile Phone users. Steps to Install Pokemon Go in India are quite simple and this game works greatly on varied interfaces. The game can be downloaded online since it isn’t yet available in Google Play Store of India! 2. Before you install the APK File, you need to make some alternations in your phone setting panel, which will favor easy installation of Pokémon Go. 3. Enter the Setting, then to Security and Check the option of “installation of apps from unknown sources”. This will help you download the Pokémon Go APK File without problems. • To begin with, just log out from the Apple ID; now go to play store and reach free apps/games section. • As soon as you will click on done and sign in with your new created ID to install Pokémon Go. All these steps are going smoothen your game downloading and using experience. 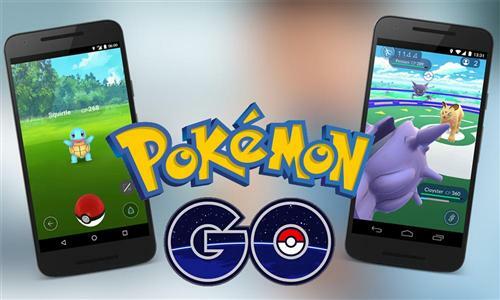 For game lovers, now installing and playing Pokemon Go in India is relatively simpler on both android and Apple IOS platforms. Be assured that these methods will keep your smartphone safe, provided you follow these steps correctly. Enjoy your gaming!